"These guys are awesome! Found them during a doggy emergency about 4 years ago, and wouldn't go anywhere else now!!" Pleasure Island Animal Hospital is located in Carolina Beach, North Carolina. We are a full service veterinary hospital committed to providing the highest standard of care to all pets. "I love this vet hospital. Wonderful group of caretakers. Very professional, listens to your concerns and comes up with a plan. Thank you from Remington and Lexi's mom." Pleasure Island Animal Hospital was founded in 2011 by Dr. Ked Cottrell and his wife, Julie Cottrell. 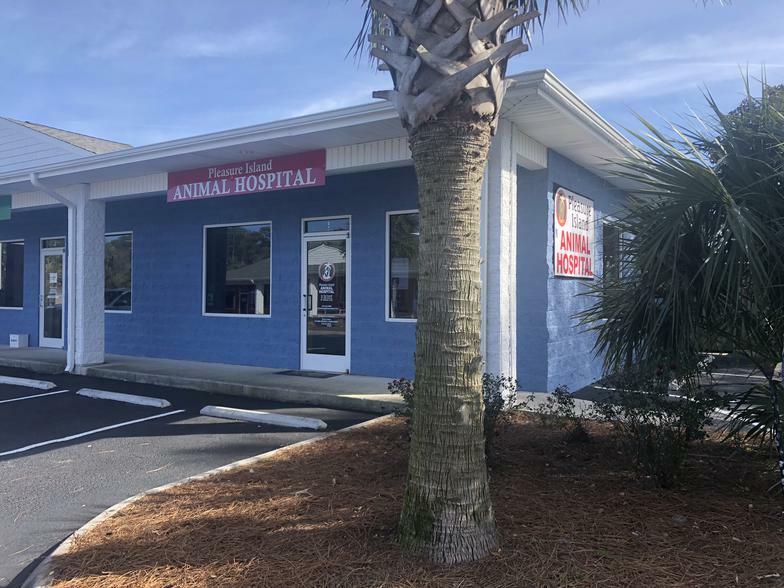 Pleasure Island Animal Hospital is family-owned and operated right here in Carolina Beach, NC. Since our company opened its doors in 2011, we’ve treated every customer like they were a part of our family. We pride ourselves on the compassionate care we provide to your special animal companions. Whether you come to us for routine wellness exams and vaccinations, or complex medical conditions, we treat your pet as if it were our own.